It was over a glass of wine at San Francisco's Sons and Daughters restaurant that I realized the tragic lack of bokeh in my life. Here's the picture taken by my lovely girlfriend with her Sony Nex-7 that made me aware I wasn't going to impress anyone with the artistic capabilities of my Nikon Coolpix P510. It also made me aware of a new-to-me photography term: bokeh. What to do? I could go blow six Benjamins on a camera like hers, but I'm often tight with my lucre and like to explore creative options. My solution? 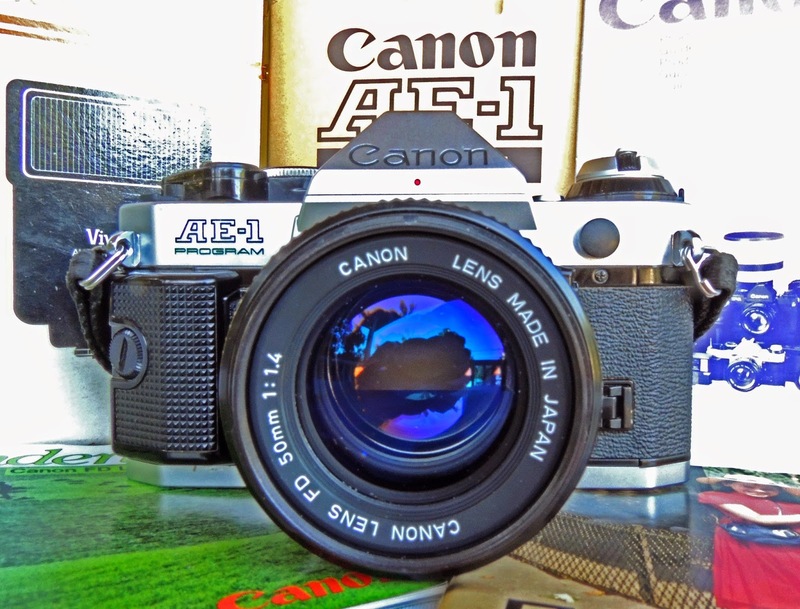 Go back to my roots as a photographer and buy another Canon AE-1 Program and shoot film. In photography, bokeh (pronounced boh-kay and sometimes boh-kə) is the aesthetic quality of the blur produced in the out-of-focus portions of an image produced by a lens. A lens with a large aperture can take photos with a narrower depth of field than one with a smaller aperture. Borrowing from the wiki "depth of field is the distance between the nearest and farthest objects in a scene that appear acceptably sharp in an image" and there you have it. Okay, bokeh. The wine is in focus, nothing else is. One sure method to significant bokeh is to use a non-zoom camera lens, i.e. "fixed" in its focal length. 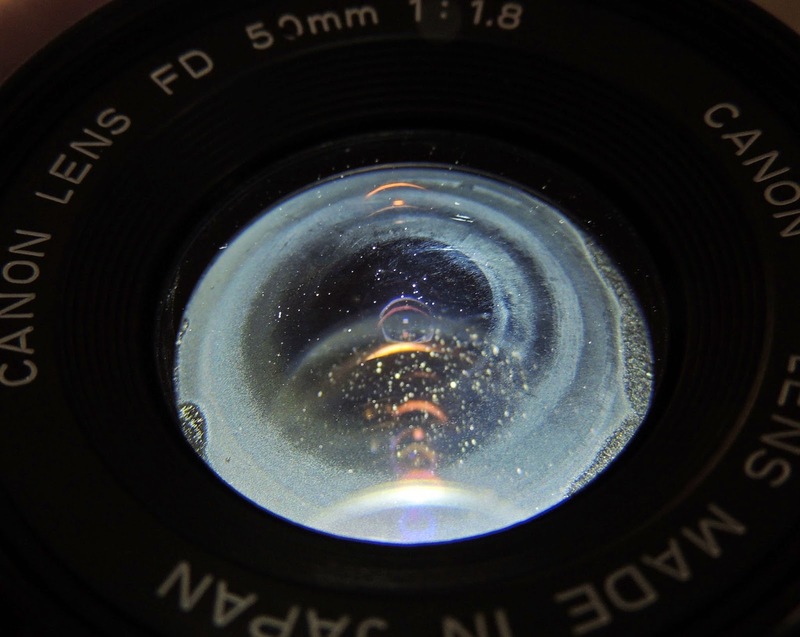 Such lenses are often better for capturing the maximum amount of light and have larger apertures. Natually, you'll pay for this capability. Bigger diameter lenses make for much more stringent tolerances because a large lens amplifies defects, so they command higher prices. That's why the tiny lens in your cellphone often gets everything in focus, though this is not a rule of thumb. My Nikon Coolpix has an astonishing 42x zoom lens, 24-1000mm if that's how you roll. I can take clear pictures of the moon's craters or the paintings hanging on a neighbor's wall - from one block away. What I can't take a picture of is the drama of bokeh, when only the desired object is in focus and everything else fades into blurry patterns and colors. Try as I might, the Nikon is a very literal camera, with typically everything in good focus even in aperture priority mode. Looking back through my favorite shots from my undergraduate journalism student days, the common thread that emerges is this: they're of people. They're doing things. They're neither far away nor are they macro. Some exhibit bokeh. All the times I carried a telephoto I wound up with pictures I don't care about today: an airplane. A race car. Things. But when I shot with a fixed mm lens like the 50mm f1.4 on my Canon there were the indefinable elements of atmosphere, tension and ambiguity. And I shot pictures of people. As I sold my Ae-1 Program in the early 00's I now had to search out another. Craigslist immediately yielded two. My first call to Carrie in Buda inspired enough confidence that I skipped the other listing. The camera I bought for $60 seemed a good deal, visibly in mint condition but on the pricey end of the spectrum. The battery was dead, but conveniently the 5th place we went had a PX28L and I could test it. I cranked the film winder over and hit the shutter button. It was much louder than I remembered but it seemed to work. It came with a Vivitar dedicated flash, a 50mm f1.8 lens and all the original boxes and manuals from 1984. I bought it and trekked home. This is where I realized three things: the loud shutter squeak was abnormal and required repair, the 50mm lens, though free of dust and fungus, was fairly hazed looking eerily like cataracts and finally the Vivitar flash, despite looking like it had never been removed from its box, would not power on. Oh well. I'm sure Carrie was unaware of these things and I was not motivated to drive to the ends of Texas seeking a refund, then discover that all AE-1's look like this anyway. My fix for the lens was simple: buy a much better lens on eBay. I found a fd 50mm f1.4 and asked questions and sent the seller the link to the Ken Rockwell page on how to test with a flashlight. Lunkfish57 said it looked fine so I took the plunge and what I got for a mere $50 looks like the elves at the factory made it yesterday. Let's contast this with what I'd pay for a similar lens for my girlfriend's Sony Nex 7: there isn't one. The closest E-mount is a 50mm f1.8 and even then it's a $300 purchase. Chalk one up for being frugal. So now I await the syringe I'm going to use to oil the gears in my camera, and I'll run a roll of Kodak 400 asa color print film through it and we'll see what kind of dramatic bokeh my $110 got me.